Jan. 2, 2014, 10:39 a.m.
“Service to others is the rent we pay for our time here on Earth” was the quote that I remember being shared with my classmates and me at a Wenatchee Masonic Center event to celebrate our sophomore year achievements. The quote has been tied to numerous historic people, but it was attributed that night to an “anonymous” author. “How could such a short but meaningful message have an unknown author?” I thought. The dinner’s keynote speaker, Dr. Gene Sharratt, explained to us that the meaning mattered, not who said it. The speaker made a big impression on me that evening. 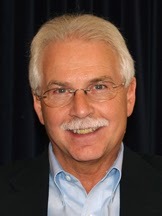 It was the first time I met Gene Sharratt, then the North Central Educational Service District superintendent. I soon learned that he knew a thing or two about service to others. The quote is also one that my father, Buell Hawkins, repeated so often that I just shrugged it off. It was only later that I fully appreciated it. Gene Sharratt is one of the best role models for community service I know and a great friend as well. It was very timely for me to be reminded of service to others. Gene is the right person to give me a good kick in the rear, as he has done a few times in the past, to get moving again as we put lessons learned in 2013 in perspective and look to the New Year. It is definitely time for me to be thankful again for all my blessings and the opportunity to begin again in 2014 making a difference for others in my life. My highest priority continues as vice chair of www.neighborsforkids.org (NFK). As a leading after-school program located in Depoe Bay on the North Central Coast of Oregon, we have enjoyed much success in providing youth enrichment programs for K-12 kids between the hours of 3pm-6pm. But our success brings more responsibility to the kids and the community we serve. My personal goal for 2014 is to continue strengthening outreach and to help NFK achieve long term sustainability. Through the leadership of our executive director, Toby Winn, and his team, and a top notch board of directors we have built a culture of innovation and entrepreneurship that the kids and community can be proud of. Work with my book and as a blogger continues to offer hope and healing to those who have experienced traumatic life events, including military children and families as well as other trauma survivors. My goal is to articulate a message that encourages trauma victims and families to not only survive but to thrive on a path of healing that is inspired by others and new awareness of alternative treatment strategies that can result in a healthy, happy, and productive life after trauma. “Service to others is the rent we pay to be on earth.” I love this quote and agree that it really doesn’t matter who said it. What matters is what we all do each day to make a difference and enrich the lives of others in communities everywhere. This entry was posted in Uncategorized on January 6, 2014 by stevesparks.